Career Development for Information Security Management Professionals. You can choose between following a 2 year Executive Master for €16.500 (no VAT) and a 1 year Executive Programme for €8.800 (no VAT). Registrations to one module or track are also possible. For more info visit Digital Governance & Trust Modular Education. The Information Security Management Education is dedicated to Security & Cybersecurity professionals with a technical or non-technical background. We provide you with managerial education and various IT management-related methods, frameworks and practical expertise in the areas that will help steer your career. Keep up to date with relevant bodies of knowledge, frameworks (NIST, SANS, ENISA) and certifications (CISM, CISSP, CSX, CRISC). Benefit from an enriching learning experience shared with a diverse audience of high potentials and seasoned professionals. Boost your career trajectory with the knowledge acquired and the contacts established throughout the programme. Build managerial and hands-on capabilities as well as internal proficiency in digital governance and trust. Motivate personnel and helm them achieve higher levels of excellence to the benefit of the organisation. Bring combined expertise in various domains that are necessary to agile organisations, including most recent management practices, implementation techniques and a complete grasp of evolving technologies. The Information Security Management Education is adapted to your personal needs. This education covers all tracks of knowledge to form a 2-year extensive programme. Should your needs be focused on specific topics, you may also design a personal path within the content we offer. Mix-and-match these specialisations to compose your personal learning path. The Executive Information Security Management Education portfolio is composed of 12 core modules spread over 4 specialised tracks. The Information Security track combines Information Security Management skills and CISO practices with Security technology essentials. The Digital Governance track brings the foundations for the governance of Enterprise IT. The IT Management track addresses various activities related to the IT Function including build, run, operate and sourcing management. The Business Transformation track supports the building of an agile enterprise. The Information Security track combines Information Security Management skills and CISO practices with Security technology essentials. Cybersecurity fundamentals and implementation topics are addressed along with a workshop to develop a phased Information Security plan. Overview of technology-related topics for necessary IT Security expertise. Lectures and cases by hands-on practitioners and academic experts addressing essential domains. 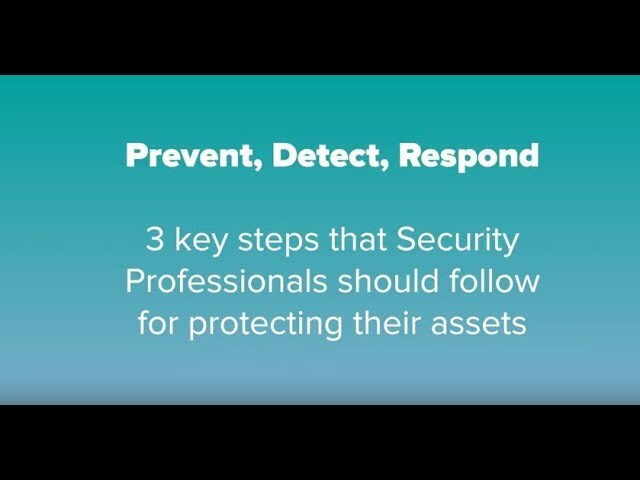 Prevention, detection and response: learn about managing the latest Cyber-threats, including the building of a full-phased environment-specific Cybersecurity plan. The Digital Governance track brings the foundations for the governance of Enterprise IT. CIOs own challenges and solutions are shared, followed by IT process management framework and its hands-on workshops and finally IT Risk methods and legal concerns. An overview by experienced executives and practitioners of key CIO/IT executive challenges covering subjects like Governance, Value Management, Sourcing, Innovation, Communication and Strategy Planning. IT Governance implementation starting from business and IT goals. Assess, organise and build up organisational capabilities through IT Processes and enablers. Prepares for COBIT 5 foundation certification. Gain a broad view on all IT-related risks facing enterprises, with special attention to legal and compliance aspects. Apply the leading COBIT 5 for Risk framework to a practical case study. The IT Management track addresses various activities related to the IT Function including build, run, operate and sourcing management. Application development, service management and sourcing practices are lectured through references to recognised frameworks and methods. Develops the skills for operations and service managers by delivering ITIL, ISO 20000 skills and other operation-related knowledge. The module also provides preparation for the ITIL foundation exam. Principles of Application Management Practices, including organisation, architecture, development methods, governance, security, deployment and technical foundations. Principles for sourcing management, including procurement and sourcing frameworks (eSCM) with practical, hands-on applications: Vendor Management, Human Resources management and IT skills frameworks (including SFIA). The Business Transformation track supports the building of an agile enterprise, through enterprise and IT Architecture methods and frameworks, process improvement techniques, as well as agility principles and innovation for building a sound digital business platform. Develop skills and practices for the management of Enterprise and IT Architecture, developing programmes and portfolios and implementing alignment for business value. Develop skills for business enablement, including: Transformation and Change Enablement & Project and Programme Management, business process analysis and improvement practices. Changing the digital technology paradigm by seeking business and IT agility, by innovating through new technology and by building sound platform layers. This two-year education brings essential managerial knowledge, practices and concepts required for Chief Information Security Officer (CISO), Cybersecurity Experts and Managers, Risk and Compliance Managers on the Belgian, European and global markets. This programme is designed for current and future managers with responsibility for information security, related governance and decision making processes. 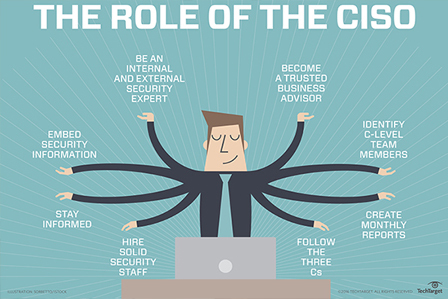 Excellent certification for future or current Chief Information Security Officers (CISO). This an excellent certification for current and future Data Protection Officers (DPO) and Security Counsellors (Public Services,...) Information Security Managers, Chief Information Security Officers, Risk Managers, and Compliance Officers. It delivers essential knowledge in Information Security and in management practices for information security as well as implementation knowledge for agile digital platforms. This programme is designed for current and future Cybersecurity experts, as well as Information Security technical experts. It develops skills in cybersecurity management with operational hands-on knowledge information covering security activities through the various protection domains (Identify, Protect, Detect, Respond, Recover). • Each module is concluded by an assessment (multiple choice questionnaire, short assignment, workshop, report writing and/or presentation before a panel jury) to validate completion of the module. This training programme provides the perfect fit with business reality. It enables you to link together IT, strategy and management and provides the soft skills you’ll need to tackle computing issues with users and managers alike. The modules that make up the programme are aligned with the most up-to-date certifications, making it as relevant as possible to what is actually happening within the industry. Last but not least, the courses are delivered by enthusiastic and ever-available faculty, which motivates participants even more. On being appointed CISO for the European Commission, the Information Security Management education helped me to get up to speed on concepts and techniques in IS and IT Security Management. The course is demanding but the content and quality of the courses were on target for my needs. Also I very much appreciated the strong practitioner-based nature of the course. Broader security and audit knowledge, extension of my professional network, preparation for CISA and CISSP certification… Providing a solid and complete background, I would recommend to anyone this executive programme, under the great and inspiring guidance of Prof. Georges Ataya. This education provided me with the right knowledge, experience, networking, and confidence to kick-start my career and to achieve the professional and personal objectives which I had set myself. I felt invigorated, empowered and assertive to grow and to do what I really wanted. All lecturers at Solvay have been great in providing enormous amounts of information during the evening week sessions. Thanks to all of them, for their commitment, patience and open discussions providing very good knowledge and support. It is the average age of the participants. of the participants have a prior professional experience of	5 to 15 years. of the participants are active in	IT services. Each year, more than 100 academic lecturers, expert speakers, staff and participants are involved in this harmonious set-up, delivering a top-notch education that receives a high rate of satisfaction and overwhelmingly positive feedback from graduating participants. Helping IT professionals get certified! and guidelines from Certification Organisations, helping to prepare for internationally-renowned professional certificates (CISA, CISM, CISSP, CRISC,CGEIT, ITIL, TOGAF, etc).